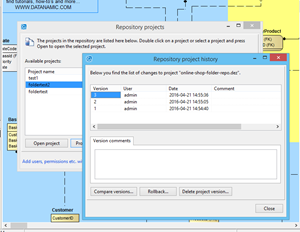 Main window with Object Browser and Pan and Zoom window. 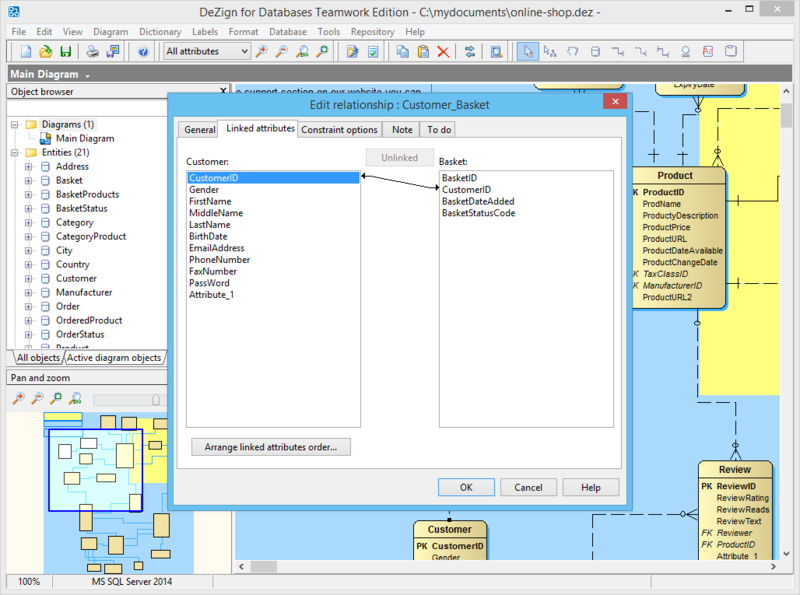 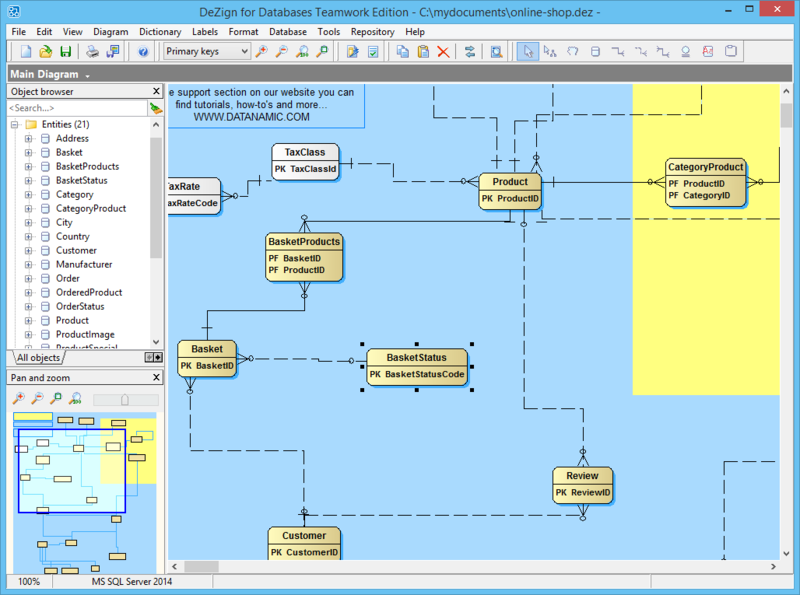 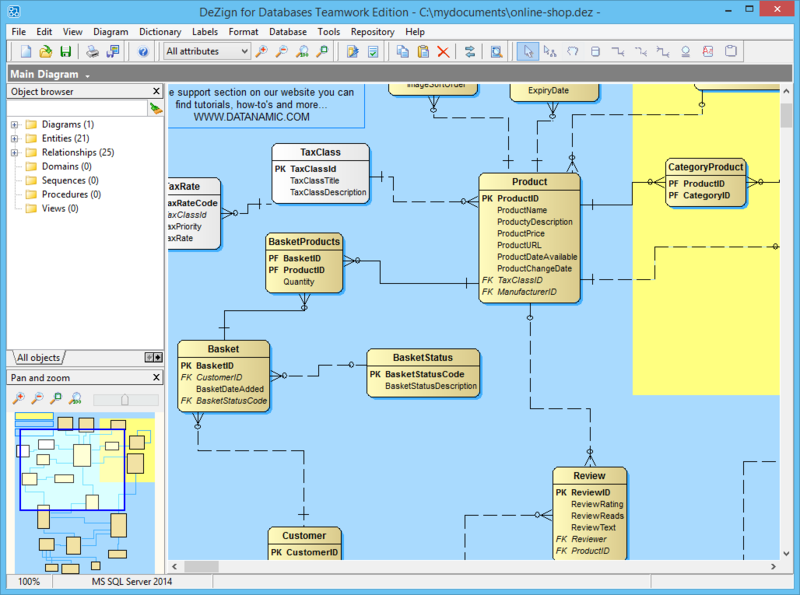 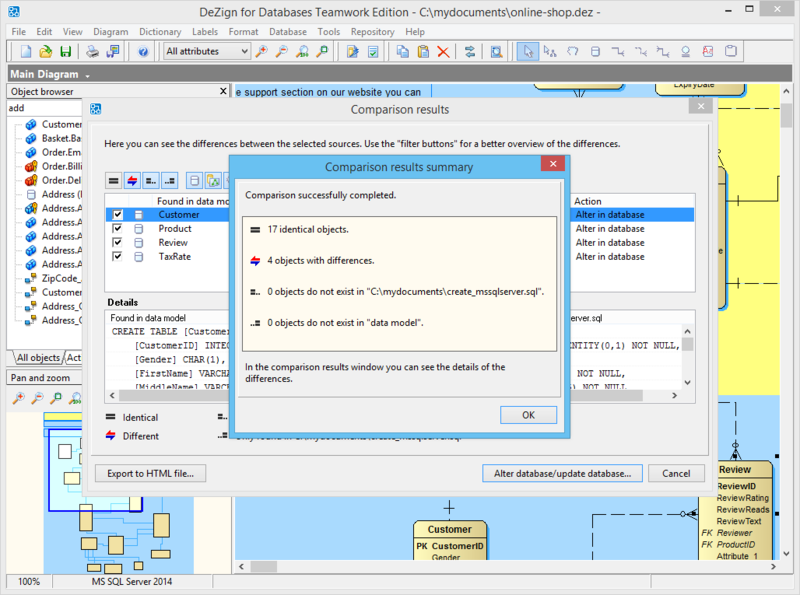 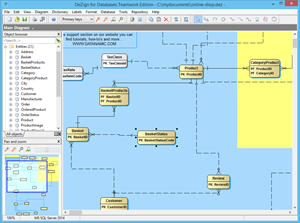 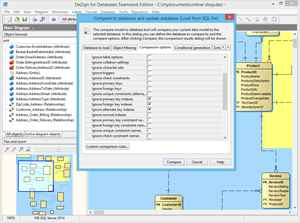 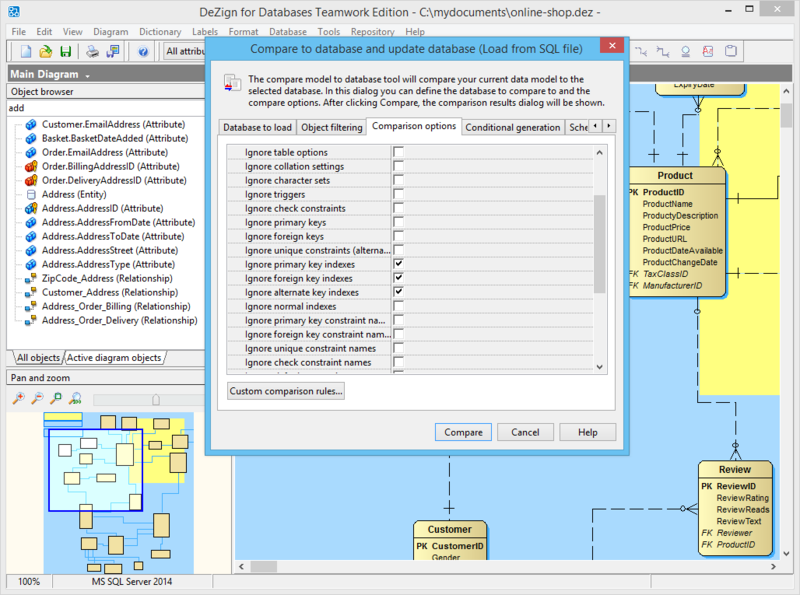 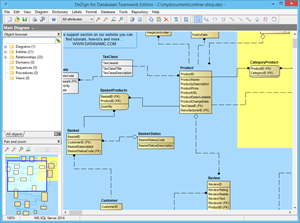 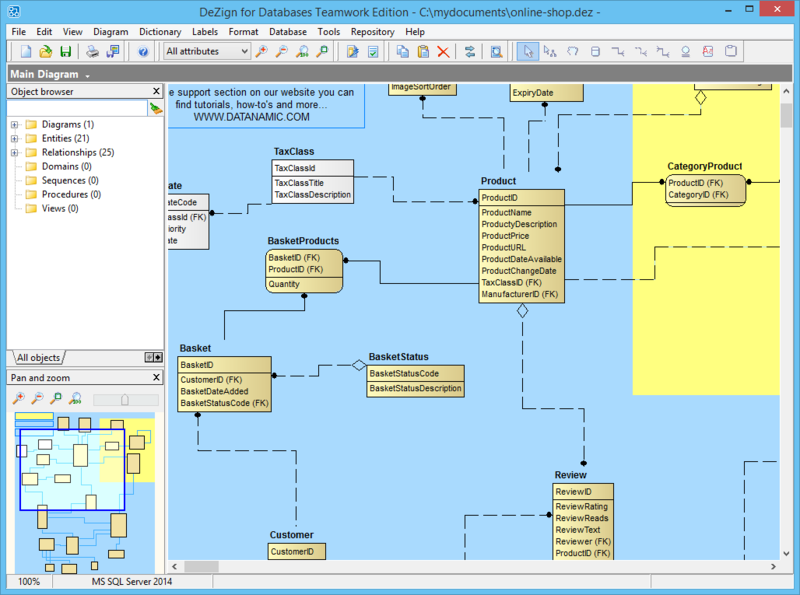 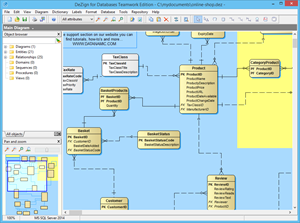 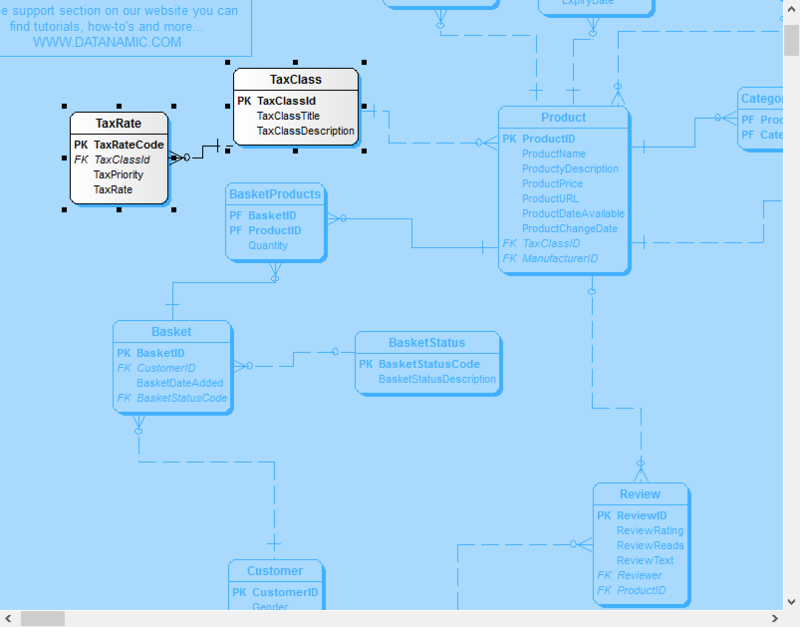 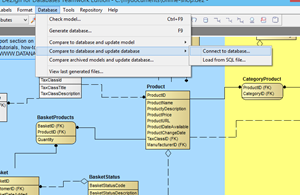 Synchronize your data model and your database. 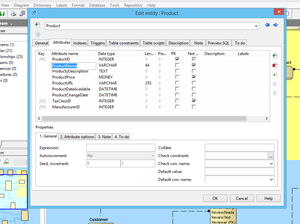 Edit the attributes of an entity. 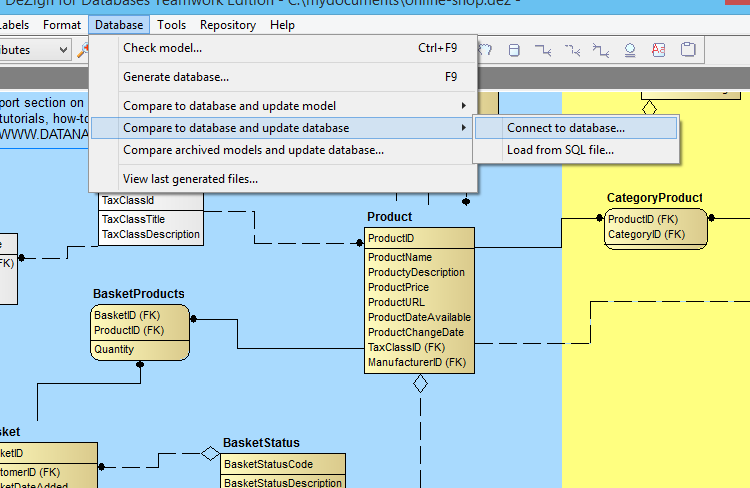 Preview of the SQL that will be generated. 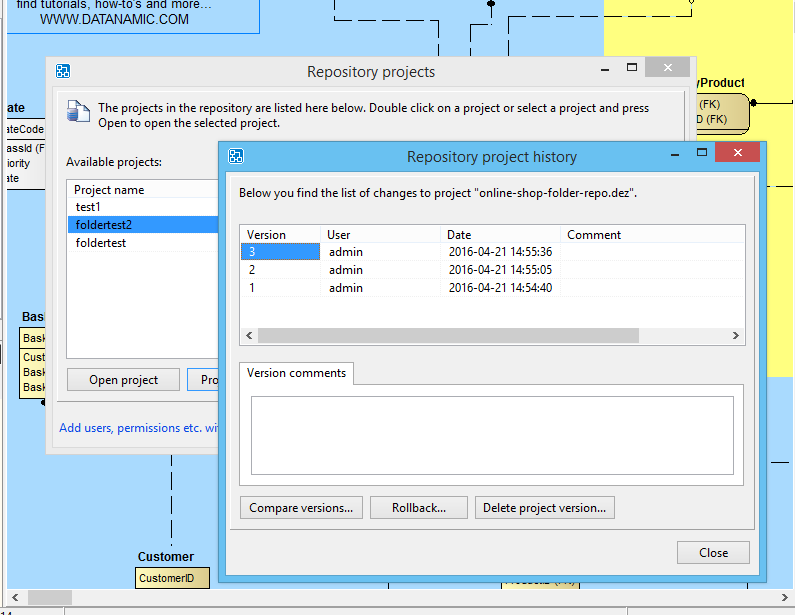 Work in a team and add your project to a central repository. 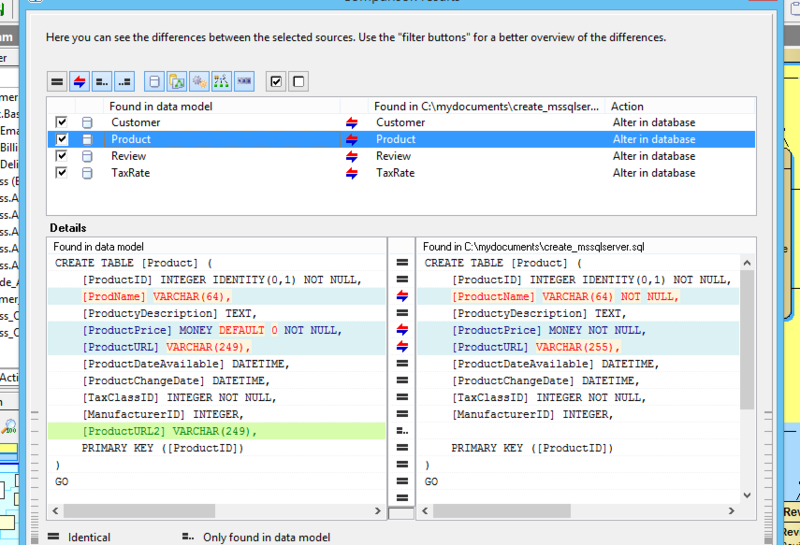 Change the linked attributes of a relationship. 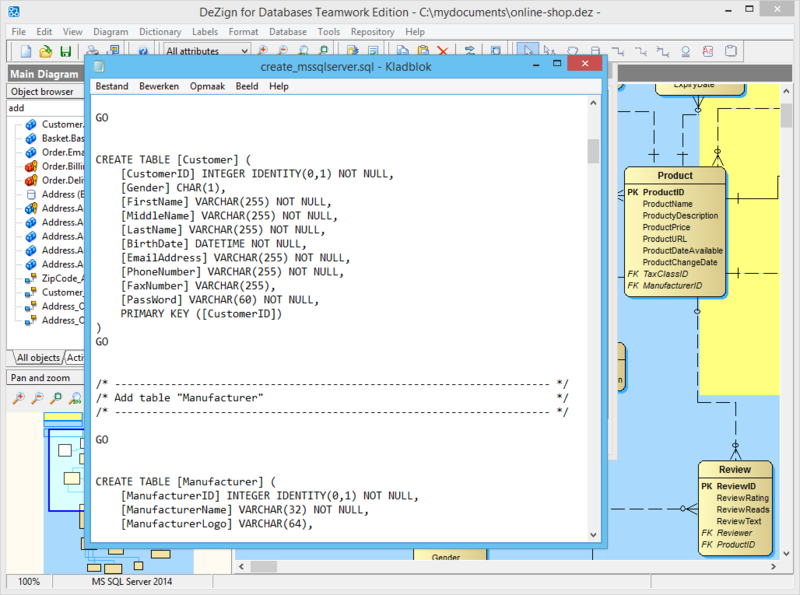 Different views of your diagram. 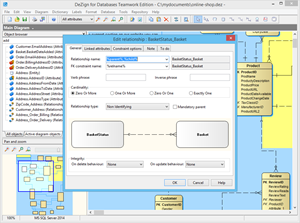 In this case only the pk attributes are shown. 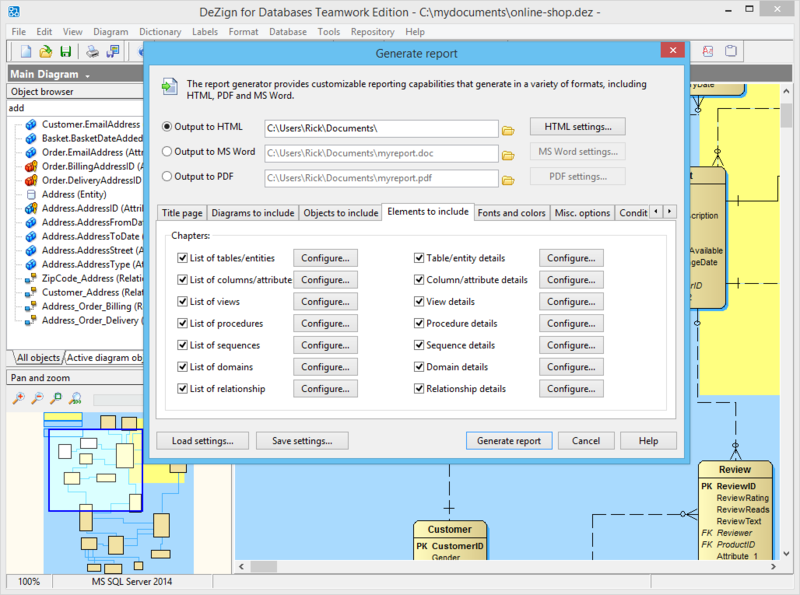 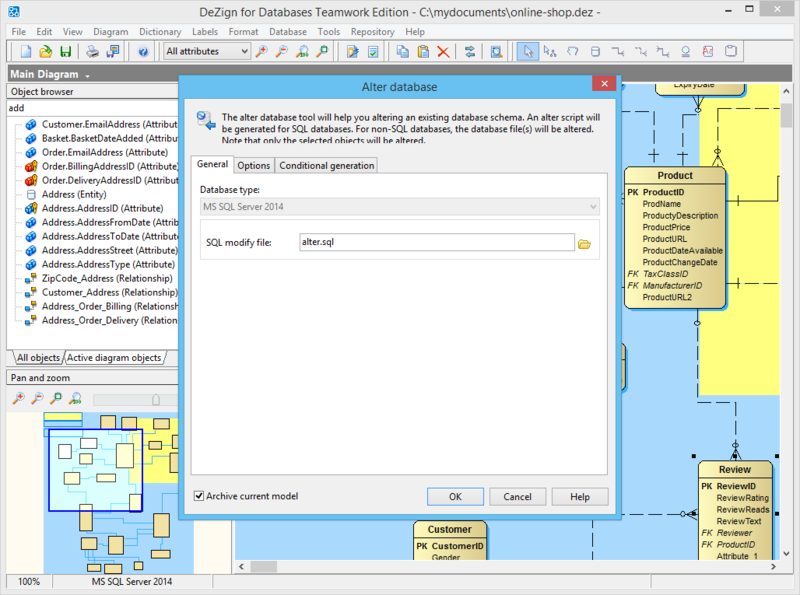 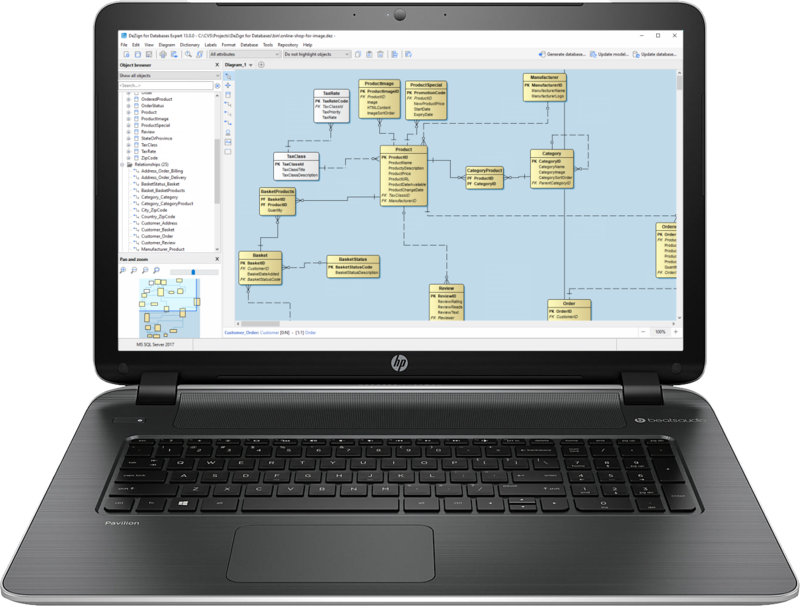 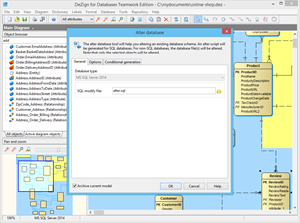 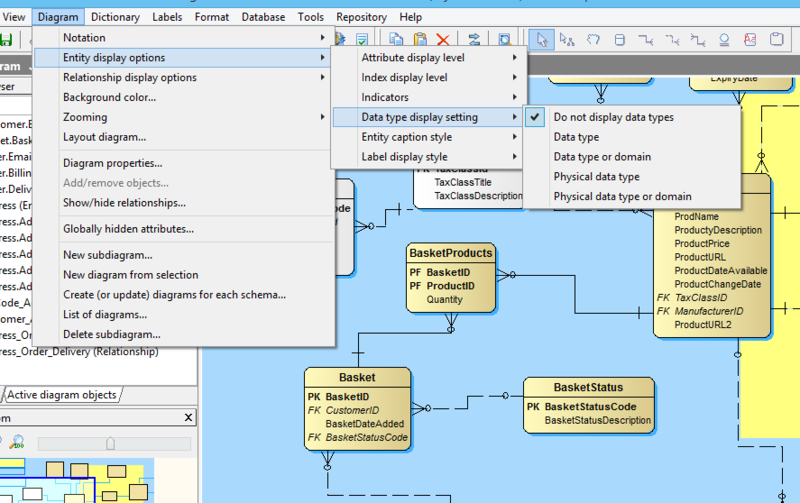 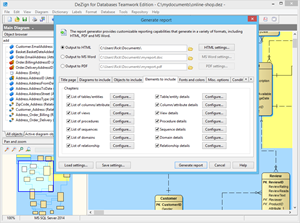 Generate customized data model reports. 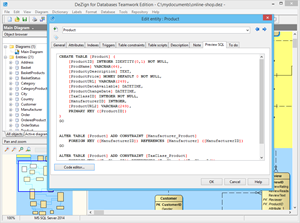 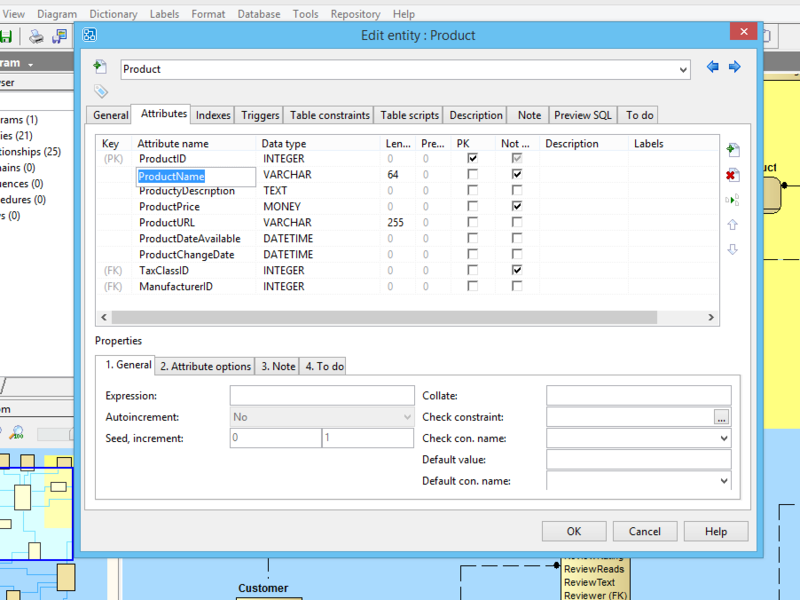 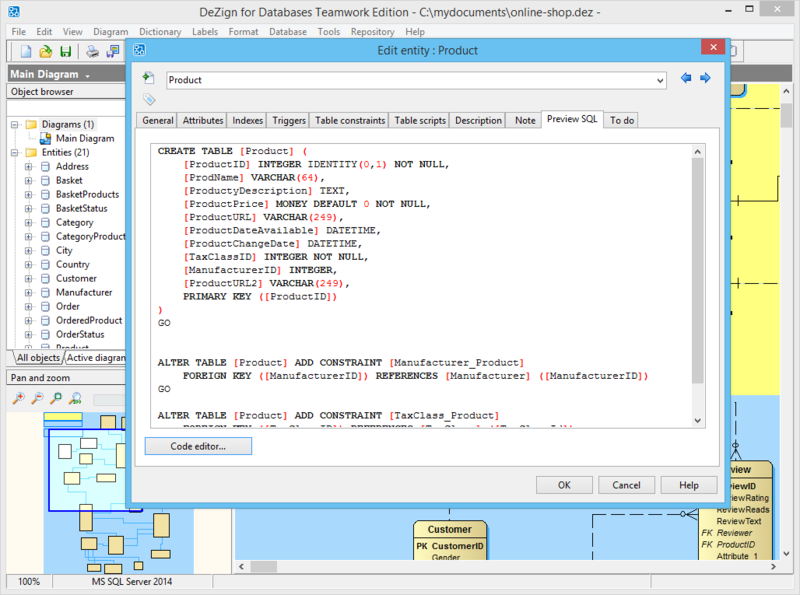 Generate the SQL for database creation. 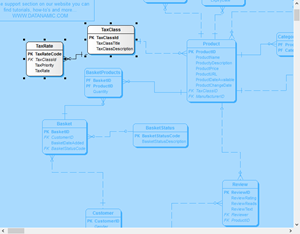 Compare your data model to the actual database and generate a script to synchronize them. 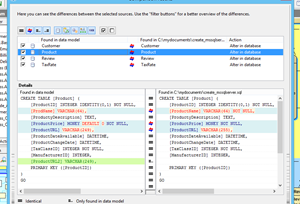 Detailed overview of the differences on object level. 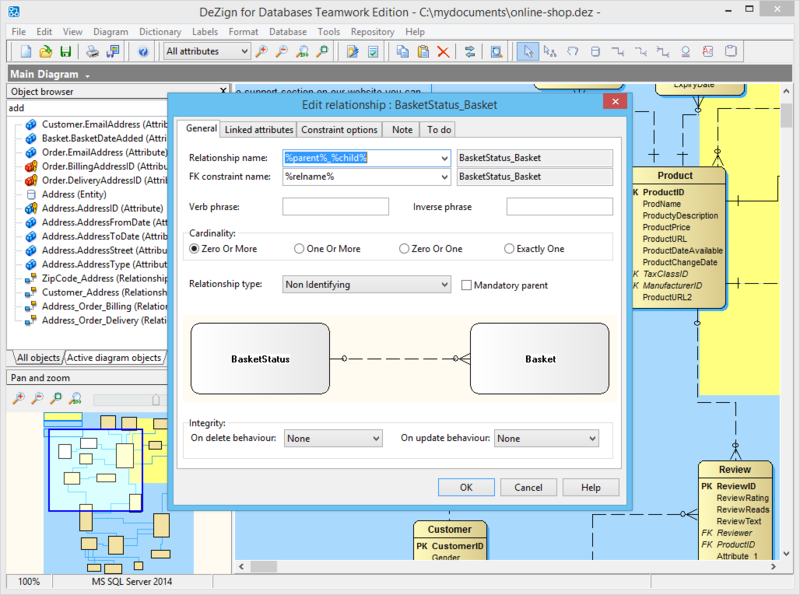 Generate the alter database script. 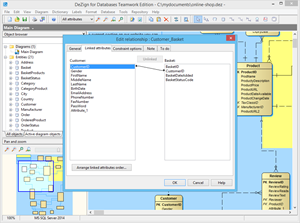 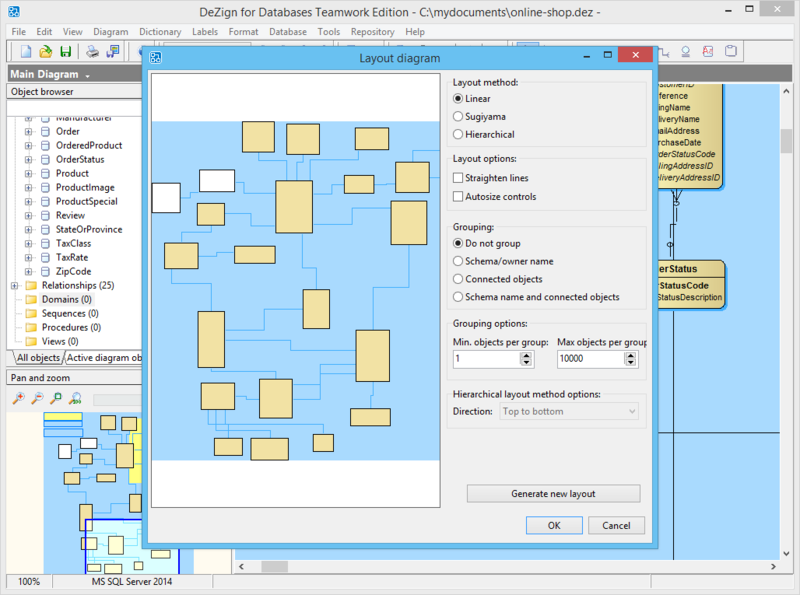 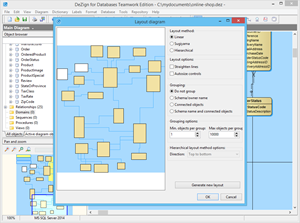 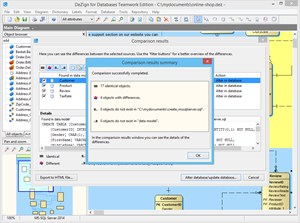 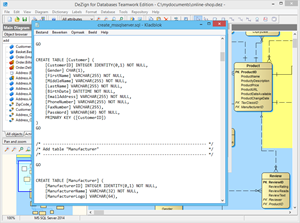 Customize what will be displayed in your diagram. 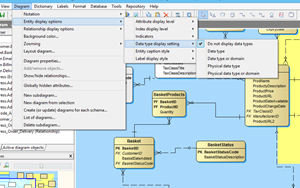 Edit a relationship in the relationship editor.